What would a meal be without dessert? You certainly wouldn’t have happy guests if you skipped out on this necessary component of the meal. For mother’s special day, I opted to make a chocolate tart and mini carrot cupcakes with cream cheese icing. NO, I most certainly did not. But now that I think about it, my little bit of creativity would have fared better during Easter. Oh well. They still tasted good. Here is the tart crust, the hardest part to make. I spent about 30 minutes trying to even out the edges, then I decided, if it’s a little rough around the edges maybe people will want to eat it more? The filling was pretty much just chocolate ganache. Heavy cream and chocolate — what could be better? I had to take a photo of the drooping cupcake. See it? On the left? Looks like there might be a couple on the right too. 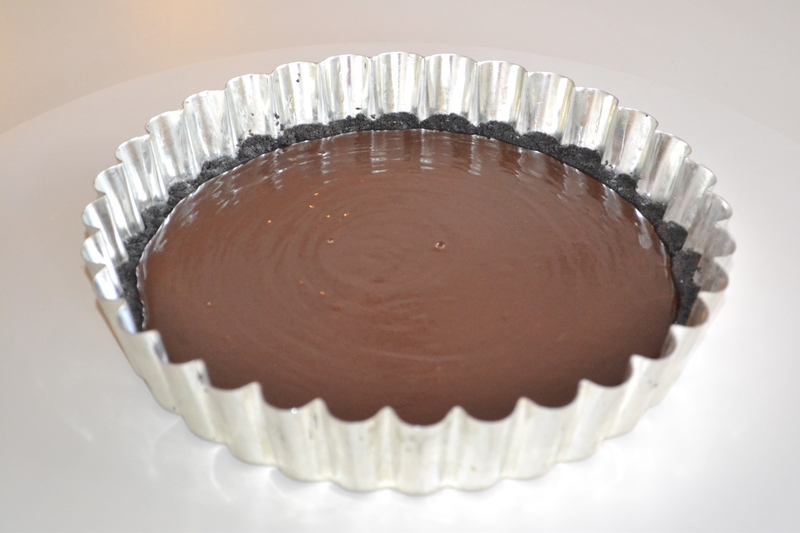 I used this Martha Stewart recipe for the chocolate tart. 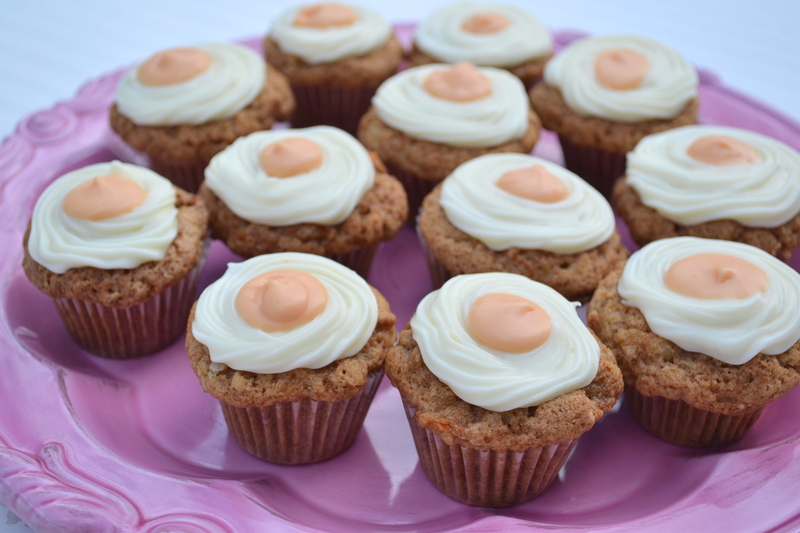 And I used my own recipe for the cupcakes. 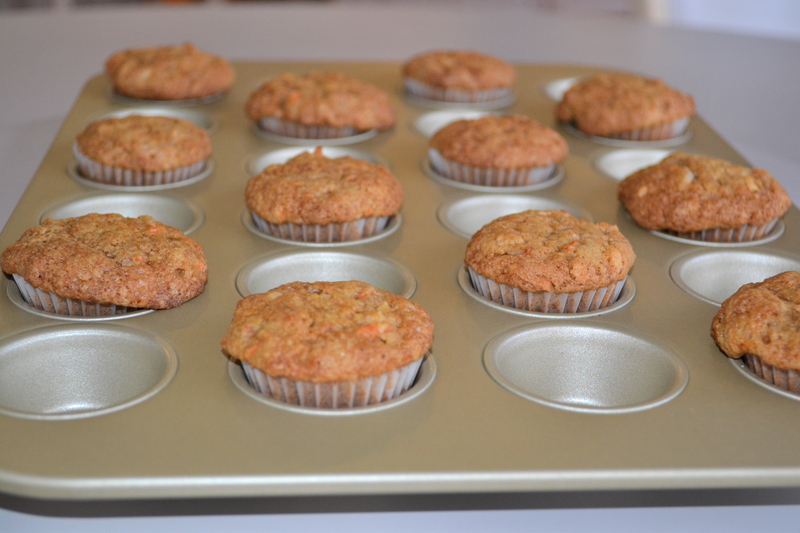 Preheat the oven to 350°F and place cupcake liners in mini muffin tray. In a large bowl, mix white and brown sugar, oil, and eggs until they’re nice and smooth. In a small bowl, sift flour together with baking soda, baking powder, salt, cinnamon, and nutmeg. Pour flour mixture into wet mixture and beat just until moistened—do not over mix. Add the carrots, coconut, and walnuts and fold into the batter until the ingredients are well-incorporated. Pour batter into cupcake liners until about 3/4 full. 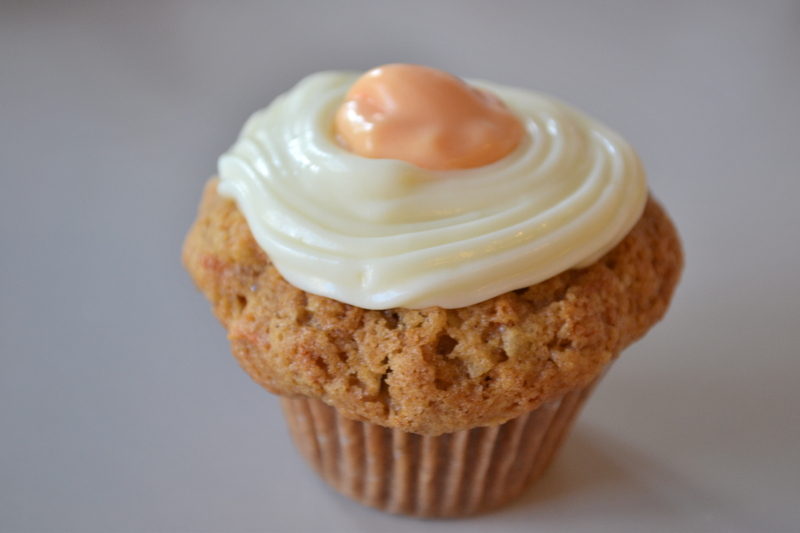 Bake for about 18 minutes or until a toothpick inserted into the centre of a cupcake comes out clean. 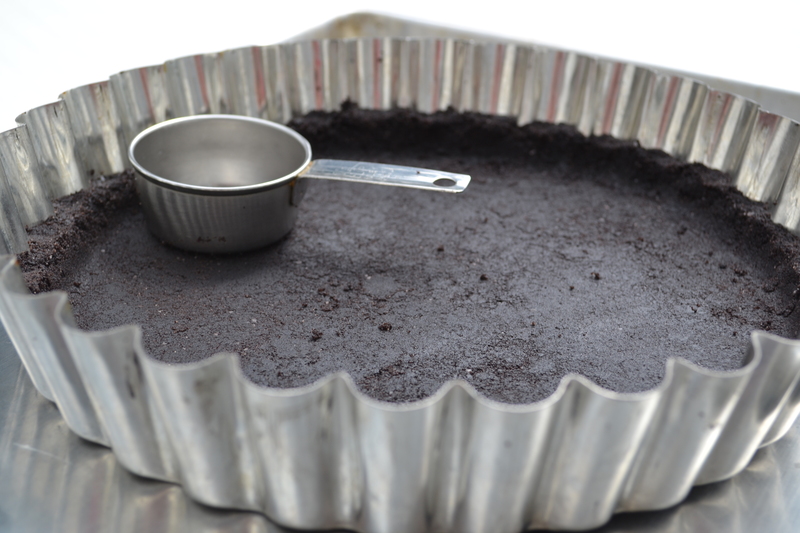 While the cake is baking, combine all the ingredients for the icing in a food processor. Mix on low speed until the icing is smooth with no lumps. A hand blender also works well for this step. Allow the cupcakes to cool on a rack for at least 10 minutes before icing. 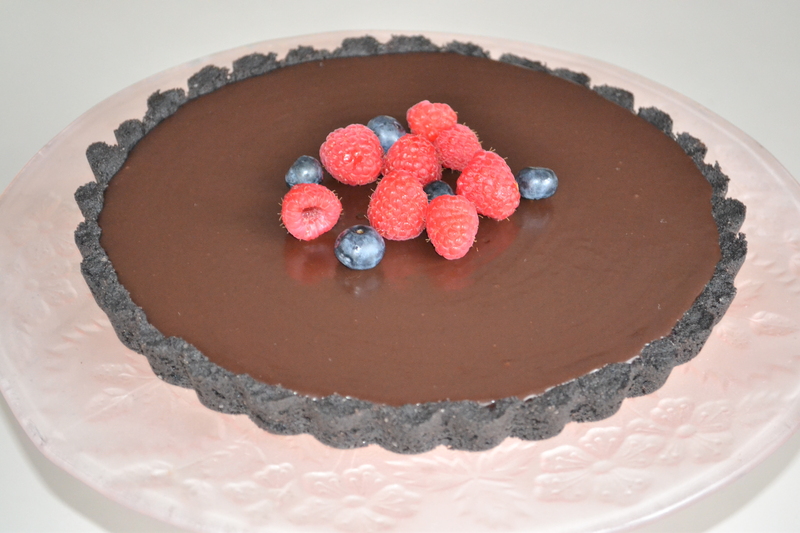 that tart looks gorgeous…and I think the drooping adds character!